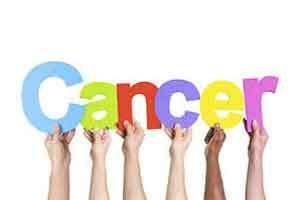 New Delhi: To raise awareness about cancer, especially among the rural population, a Delhi-based hospital has conducted a special drive to reach out to hundreds of village school teachers and sarpanches. In the run-up to World Cancer Day on February 4, the BLK Super Specialty Hospital organised a ceremony on Saturday to felicitate sarpanches each of whom contributed to this campaign by sensitising 100 families in his village and convinced them to attend the Cancer Talks and the cancer screening camps organised by the hospital. “Hence, it is difficult for women to seek services to detect the disease early. Several cases go undetected and our cancer database fails to come out with real data. It is encouraging to see that our special drive has motivated villagers to seek help and come forward and participate in our screening campaigns,” Dr Kumar said. India will observe World Cancer Day on Monday with global experts calling for action with the theme – ‘I am and I will’ on early detection of the disease to significantly improve patient survival.